Will We Survive Christopher Nolan’s Dunkirk? There are movies to dread nearly as much as we look forward to them; Christopher Nolan’s Dunkirk is one of them. In fact, this quick trailer just about triggers an involuntary response from me, leftover from the trauma of Spielberg’s helmet-pelting Saving Private Ryan opening, which left me sobbing uncontrollably. I’m not ashamed to admit I’m a little terrified. Starring Tom Hardy, Cillian Murphy, James D’Arcy, Kenneth Branagh, Mark Rylance, Harry Styles (yes, the One Direction singer), Barry Keoghan, Tom Glynn-Carney, and newcomer Fionn Whitehead, the film relives events during WWII’s Operation Dynamo, aka the Dunkirk evacuation. After the German army surrounded a large number of Allied troops in the Dunkirk, France, harbor, the evacuation operation was planned and took place between May and June, 1940. Here’s the first (perfect) teaser; you can catch it full-sized if you’re headed to (*ahem*) Suicide Squad this weekend … that’s an interesting pairing. Not too little, not too much; just enough to set us on edge and incur SPR flashbacks. I can’t even imagine being a war veteran. 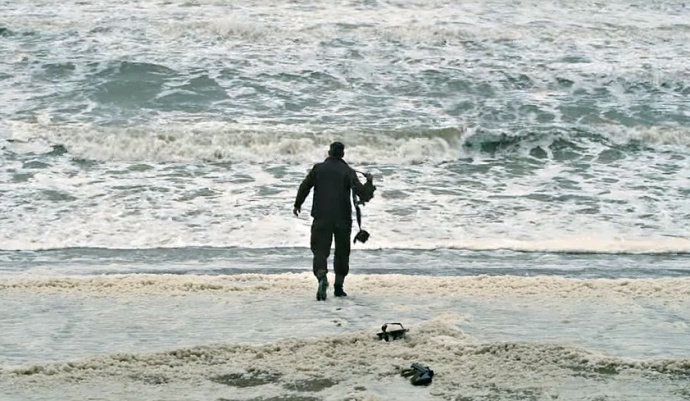 For the film, Nolan reconditioned real warships, and principle photography took place in Dunkirk. Hoyte van Hoytema (Interstellar, Her, Tinker Tailor Soldier Spy) is DP and Hans Zimmer will score the film; Dunkirk opens July 21, 2017.